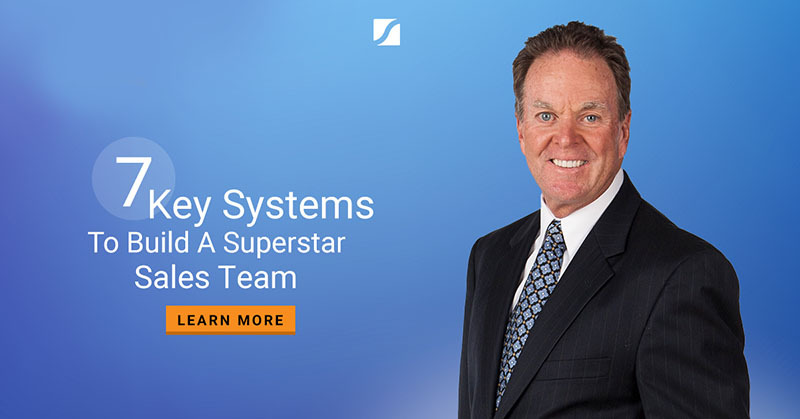 Jack has been my sales mentor for the past 15 years and learning his street-proven sales systems and strategies has significantly increased my sales and grown my company. 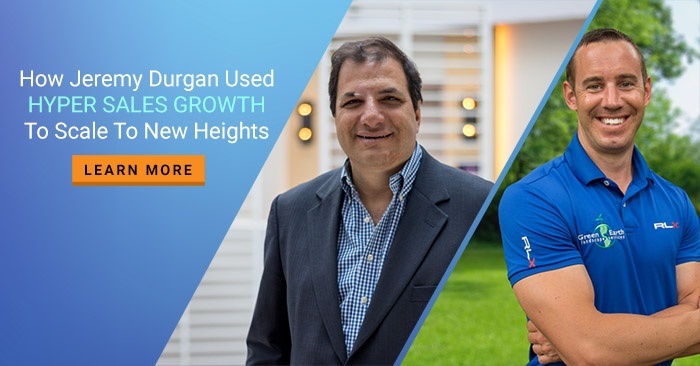 That’s why I was so excited to interview Jack in last week’s Business Growth Labs webinar, where Jack talked about the three sins destroying your company's sales growth, and what you must do to really grow your sales and sales team. Before I share with you the key highlights and summary of the webinar, here’s a little bit more about Jack and why you don’t want to miss out learning about his sales systems and strategies. Jack has over 30 years of sales experience and is the author of two great sales books, “Hyper Sales Growth” and “The Sales Playbook”. He has turned six companies into fast growing and profitable national firms, two of which were sold to Wall Street firms. 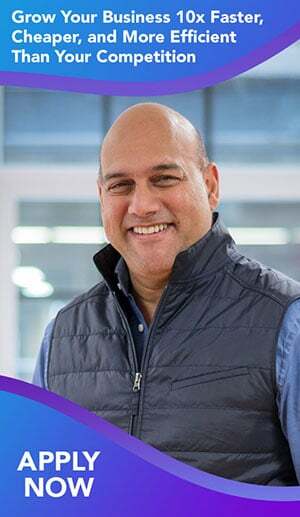 He has also grown and lead a sales team with 2,600 people. What I love about Jack’s approach as a sales trainer, and what was the big aha moment for me when I met Jack, is that he doesn’t just teach you sales techniques. Jack teaches you about sales management and how to create a strong culture where you have an army of people helping you sell. If your goal is to rapidly grow your company, this article will show what you need to do -- as well as the three sins of sales management you need to avoid -- to achieve that. Let’s now dive into the key highlights and takeaways from last week’s webinar with Jack Daly. Jack talks about what Brian Scudamore at 1-800-GotJunk calls the painted picture or Cameron Herold calls the vivid vision. How do you want to scale your company? What do you want your company to look like five or 10 years down the road? Are you aiming for $20 million in revenue? $100 million? Having a vivid vision is important to really grow your company in a significant way. A winning culture is an environment where your sales people are excited to get to work. It is the heart of your company’s success because it pumps vital energy to every part of your organization, so each and every person is excited to perform their role and support your business growth. When you create an environment where the workers actually enjoy what they’re doing, they’ll convey that passion to the customer, and magical things will happen. The most important position in your company is the position of whoever is leading the sales force, and you need to make sure you have the right person for this position. This position can go by many names: Director of Sales, EVP of Sales, Managing Director of Sales, and so on. For simplicity, Jack simply refers to this position as the sales manager. According to Jack, the sales manager is the most important position when it comes to growing your company. The CFO, CEO, COO or anyone else won’t have anything to work on if your company isn’t producing sales! Next, it’s important to understand that the sales manager’s job is not to make sales. 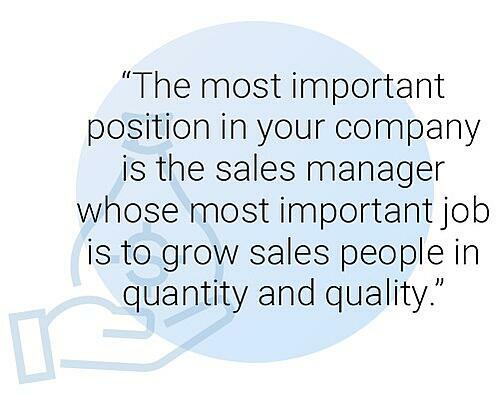 His or her job is to grow sales people in quantity and quality. If you grow sales people in quantity and quality they in turn will grow your sales. A lot of companies experience stalled sales or very, very slow growth year upon year because they make mistakes with regards to who they put in the sales manager position, and the responsibilities they give to the person in that position. Which brings us to the real meat of what Jack covered in the webinar: The three sins of sales management and how it’s destroying your company sales and growth. 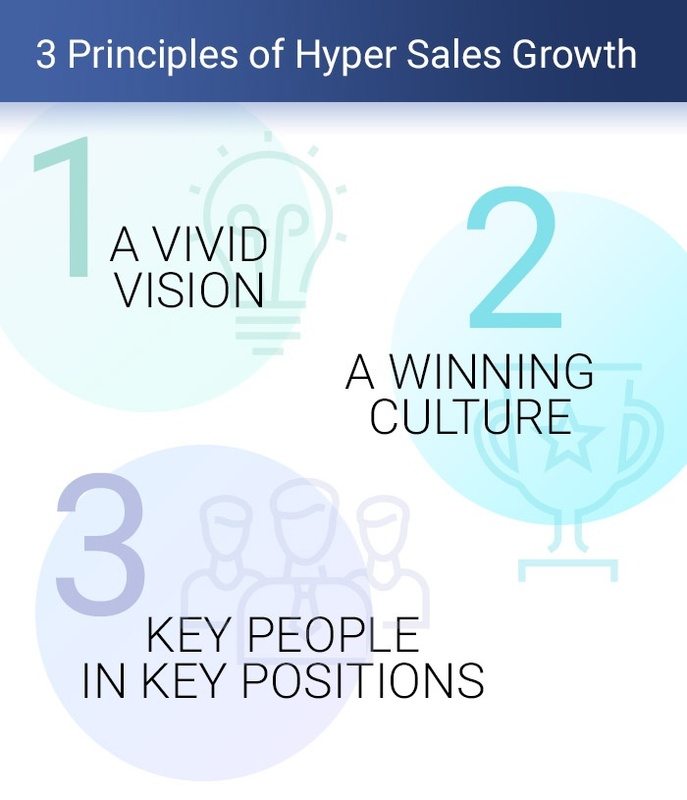 Each one of the three sins has the effect of minimizing the sales management role, and effectively holding your company back from achieving hyper sales growth. The first sin is when the owner, CEO, or entrepreneur also wears the hat of the sales manager. Having been that entrepreneur, Jack knows what that job entails. Having also been the head of sales, Jack also knows what that’s like. Both jobs are full-time. What happens when the CEO also holds the position of the sales manager, is you end up relegating the CEO position and the sales manager position to part-time. The result is slow movement and efficiency in both departments. Jack recalls how in 1985, he organically grew his company from four people to 750 people within 18 months. In their first three years, they made $42 million dollars. The most important person in the company, as far as Jack was concerned, was Denis – the sales manager. 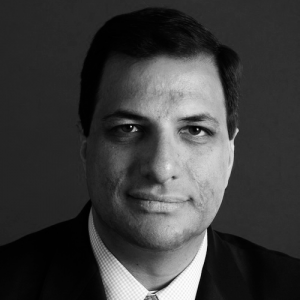 Denis was the key person who opened up their offices around the country and hired the sales people. With Denis focused on growing the sales team, Jack could focus on his job as the CEO. As CEO, he found the money to finance the growth of the company and put together a 22 bank consortium into one loan for 500 million dollars. Had Jack not hired Denis to be the sales manager and tried to handle the sales himself, he wouldn't have been able to finance that growth. That’s why it’s so important for companies not to commit this first sin of sales management. Don’t wait until your company is bigger before you “can afford a sales manager”. The fact is your company will struggle to grow if you don’t hire a sales manager. Bottom line: Hire a full-time sales manager, and hire the right person. 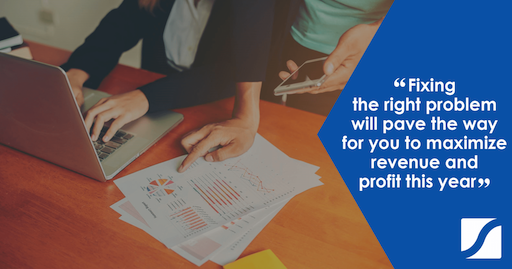 Pay them correctly, and they will pay for themselves in less than a first year. The second sin is when companies take their best salesperson and promote them to be the sales manager. While Jack has seen this work out for some companies, it's rare. What typically happens is the company has just traded in their best salesperson with a mediocre sales manager. It’s important to understand that a salesperson’s and sales manager’s jobs are entirely different positions with entirely different skills required. A salesperson is responsible for winning new customers and growing the ones they have. A sales manager is responsible for recruiting, training, coaching, building and developing salespeople. So you can’t expect your best salesperson to suddenly know how to recruit, train, coach, build and develop a sales team! Another problem is that salespeople are used to the immediate gratification of closing a sale, whereas it could take a sales manager a year to recruit and nurture a top salesperson. It’s very easy for a salesperson who has been promoted to become a sales manager to feel disappointed in “the land of no immediate gratification”. That’s why what typically happens is that person quits to join a competitor, and then becomes the competitor’s top salesperson! Bottom line: Keep your top salesperson in the position where he or she can do what they’re best at – making sales! 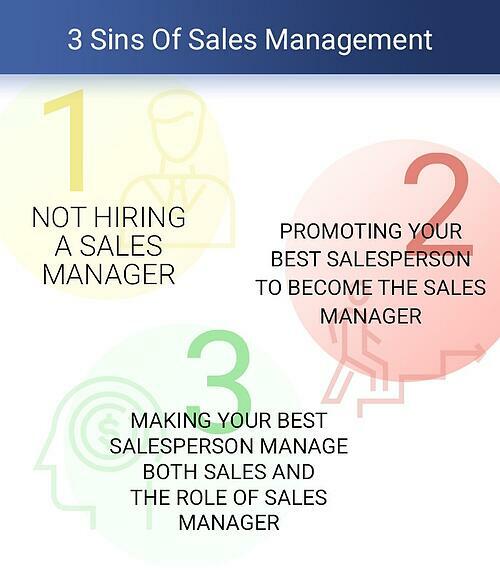 The third sin is when you take the best salesperson and not only make him or her the sales manager, but expect them to continue making sales. This is just insanity. Here is what will most likely happen when your best salesperson also wears the hat of the sales manager. At the end of the year, that person will be the number one sales person in the company because that's what they're good at, and so that's what they'll focus one. It also means they will earn all the bonuses and rewards that come with being the top salesperson. What this means is every moment your top salesperson focuses on selling, he or she has compromised your company's growth by recruiting, training, coaching, building and developing and scaling the sales force. This ultimately means less sales overall for your company. When this happens, Jack doesn’t blame the person who's in that position. He blames the person who put the salesperson in the position of sales manager. Bottom line: Let your sales manager position be a full-time sales management position. Then sit back and watch your revenues grow.